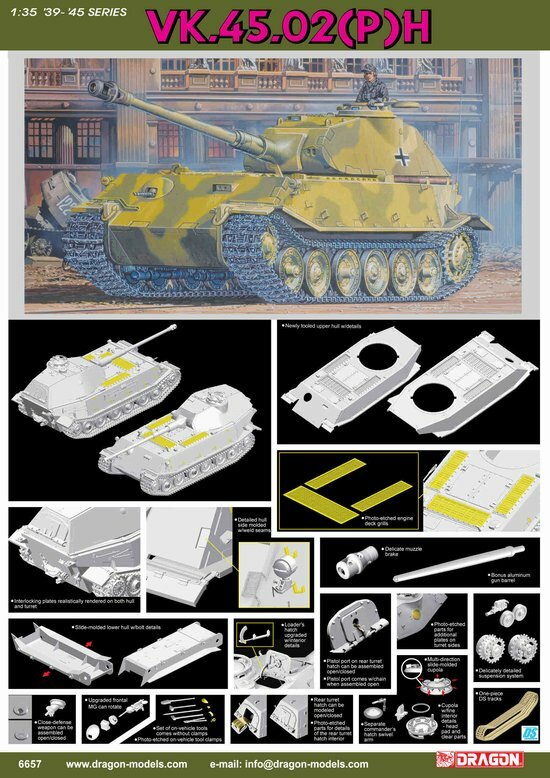 1/35 German VK.45.02 (P) H Tank Model Discounts Apply ! DRA6657 - 1/35 German VK.45.02 (P) H Tank Model. Includes aluminium gun barrel and photo etched parts. Discontinued Item.